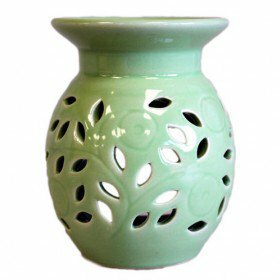 Lime ceramic oil burner, always places the oil burner on a heatproof mat. Ensure there is sufficient water in the container above the burner. Use good quality tealights. Purple Lotus is a Holistic Shop & Therapy Centre based in Waterford City Centre, in John Roberts Square.